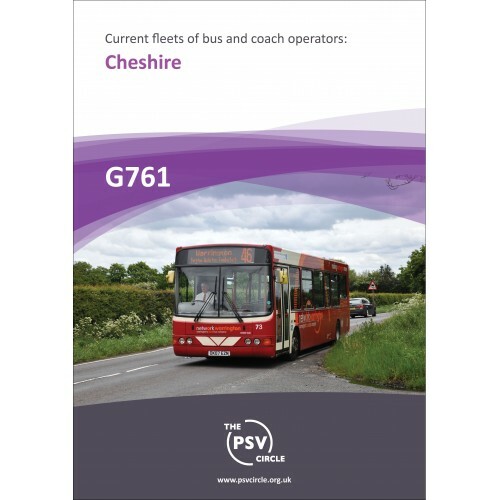 A Fleet List of All Bus and Coach Operators in Cheshire. This publication is part of a series covering the Operators recorded in the PSV Circle North Western News Sheet (area 6). 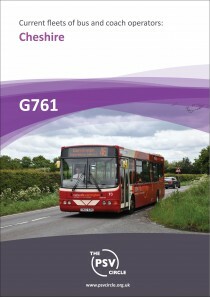 It gives details of the known current fleets of all bus operators in the County of Cheshire (CH). A Fleet List of All Bus and Coach Operators in Staffordshire.This publication is part ..
A Fleet List of All Bus and Coach Operators in Merseyside.This publication is part of..
A Fleet List of All Bus and Coach Operators in Greater ManchesterPart 2: Operators&nb..
A Fleet List of All Bus and Coach Operators in North WalesThis publication is part of..
A Fleet List of All Bus and Coach Operators in Greater ManchesterPart 1: Operators&nb..